W.E. A.L.L. B.E. Radio:"JUSTICE FOR LYNNE STEWART!!!" Radical human rights attorney Lynne Stewart has been falsely accused of helping terrorists. On Tuesday, April 9, 2002, she was arrested and agents searched her Manhattan office for documents. She was arraigned before Manhattan federal Judge John Koeltl. This is an obvious attempt by the U.S. government to silence dissent, curtail vigorous defense lawyers, and install fear in those who would fight against the U.S. government’s racism, seek to help Arabs and Muslims being prosecuted for free speech and defend the rights of all oppressed people. Lynne Stewart received a 28-month sentence in October 2006. 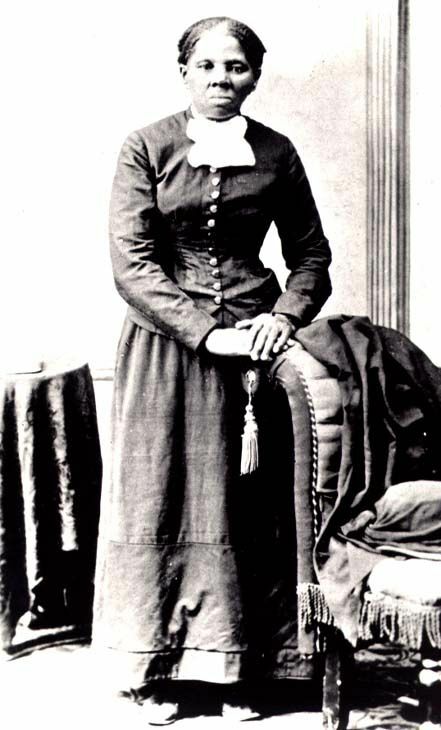 The government appealed the sentence, and in 2009 Lynne was sentence to 10 years in federal prison. She is now in a federal medical facility for women in Texas, thousands of miles away from her home, family and community. Sign the Petition to Free Lynne Stewart: Save Her Life - Release Her Now!!! Support The W.E. A.L.L B.E. W.E. A.L.L. B.E. 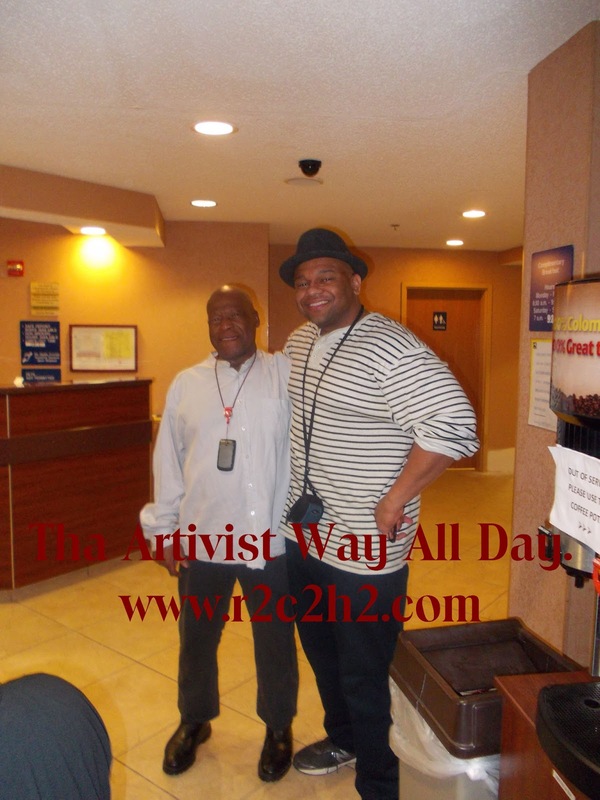 Radio:"Searching For Black Caesar: The Rise & Disappearance of Frank Matthews & 'Malcolm Shabazz Update'!!!" 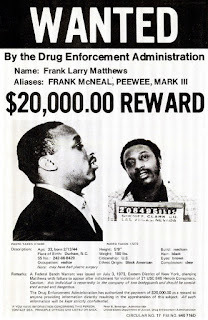 New York City - On July 2, 1973, Frank Matthews, history's first African American drug kingpin, jumped bail in New York City with $15 to $20 million - the equivalent of $80 million to $90 million in today's money. It is believed he took his beautiful mistress, Cheryl Brown with him. Though Matthews is undisputedly the longest missing fugitive in DEA history, another figure from the '70's, Assata Shakur, was just recently placed on the FBI's Most Wanted Terrorists list. A 66-year old Black woman, Shakur's reward is set for two million dollars. The reward for 69-year old Frank Matthews, the target of one of the largest manhunts in U.S. law enforcement history, is a mere $20,000. He remains at large and his disappearance is a complete mystery. He has never made any "Most Wanted" list. 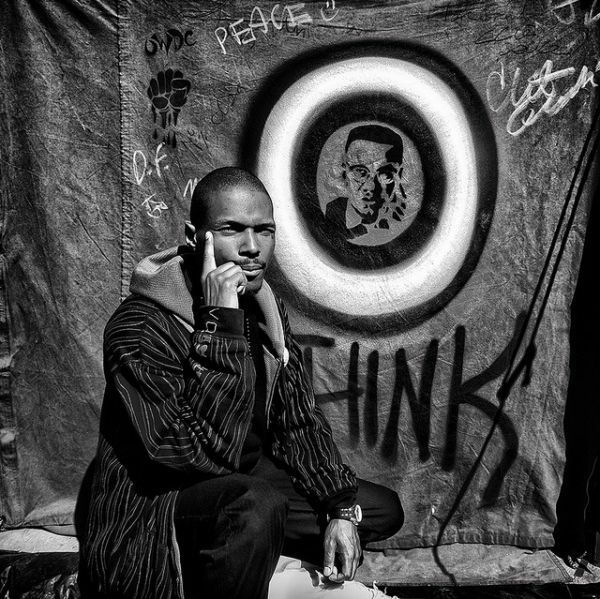 Many believe Shakur was erroneously convicted for the murder of a state trooper. 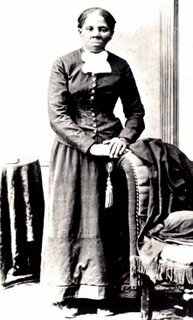 But there is no mistaking the fact that the narcotics Matthews helped funnel into Black communities across America continues to leave a trail of devastation, betrayal, death and despair. In each case it has been forty years. And so goes the continued urban legend of Frank Matthews, perhaps the most authentic American Gangster of them all. 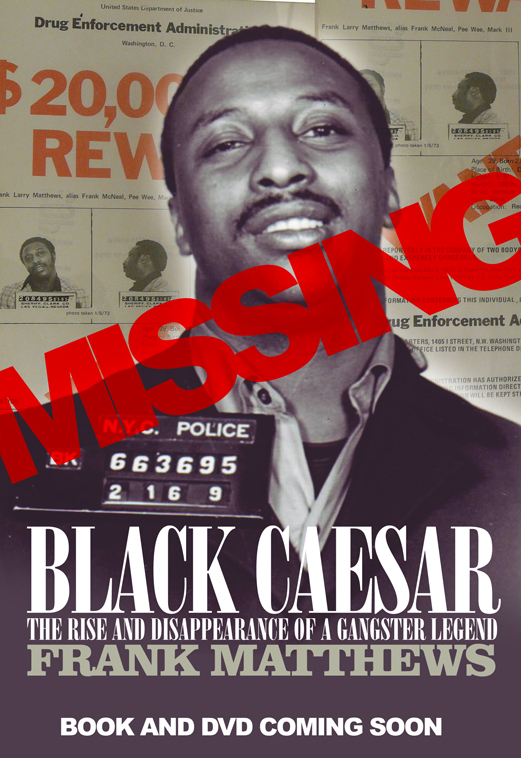 Award-winning crime author Ron Chepesiuk goes into depth to investigate the unsolved disappearance of Matthews with his new book, "Black Caesar: The Rise and Disappearance of Frank Matthews, Kingpin" from Strategic Media Books. With an undercover reporting style that leaves no stone unturned, Chepesiuk's determined crack at unraveling one of the crime world's biggest unsolved mysteries makes for a fascinating and intriguing read. Matthews' literally dominated the heroin market in the '70's. A country boy from North Carolina, Matthew operated out of New York with a drug empire that spanned 21 states with overseas contacts for heroin and cocaine. A boss of bosses, the DEA ranks him as one of the Top Ten drug traffickers in United States history. 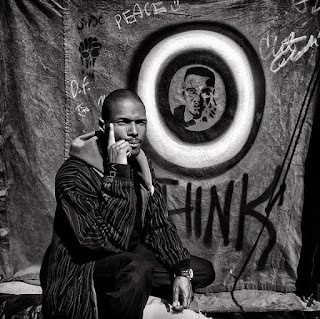 A young man in his twenties at the time, Matthews was one of the first major independents who challenged the La Cosa Nostra for supremacy in the criminal underworld. 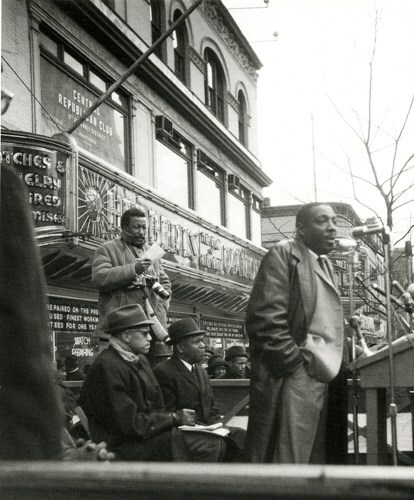 The streets deemed him, "Black Caesar" as he was the first black man bold, astute and confident enough to control an interstate organization of its size, independent of the Mob that ruled all. Chepesiuk follows the trail left cold, retracing Matthew's criminal path with the nose of a bloodhound. His interviews with DEA agents, Federal Marshals, aging ex-drug kingpins, friends, families and associates are perhaps the most in-depth gathering of details about this nefariously historic figure ever compiled. The book explores a host of nagging questions. How was Matthews able to operate for several years without being detected? What was his relationship with La Cosa Nostra? Why did the CIA get involved in the Matthews investigation? What happened to Cheryl Brown? Why has the mystery of his disappearance been so difficult to solve? 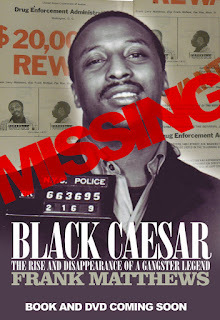 And while the questions are explored and answered, "Black Caesar: The Rise and Disappearance of Frank Matthews, Kingpin" colorfully captures the vivid imagery, drama and intrigue of the era, entangling the reader in a real life thriller. "Ron Chepesiuk is to true crime books what Nas is to the hip-hop world," offers Seth Ferranti author of "Gorilla Convict: The Prison Writings of Seth Ferranti," who provides the gripping foreword for the book. "He writes like a lyrical poet examining issues in popular culture in both a historical and scholastic context." 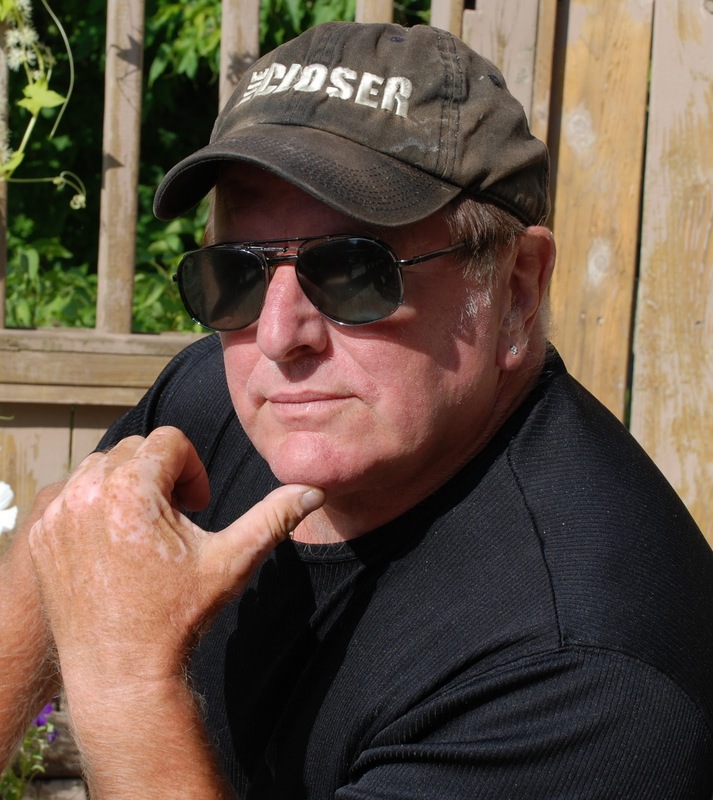 A two-time Fulbright Scholar, film producer and author of several true crime books, including "Drug Lords," "Sergeant Smack" and "Queenpins," Ron Chepesiuk is also a consultant to the History Channel's "Gangland" documentary series and the executive producer and co-host of popular radio show "Crime Beat". An authoritative crime historian, Chepesiuk is a native of Thunder Bay, Canada currently based in South Carolina. 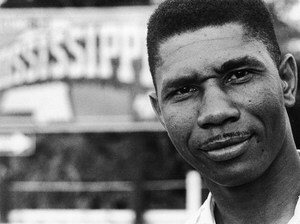 He brings a wealth of insight and observation to the account of the missing Frank Matthews. 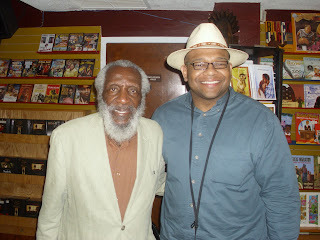 He has also written a screenplay based on the Frank Matthews story. Dead or alive, we may never know the ultimate truth about Matthews, but thanks to Chepesiuk, every speculation in between is resolved in "Black Caesar: The Rise and Disappearance of Frank Matthews, Kingpin." 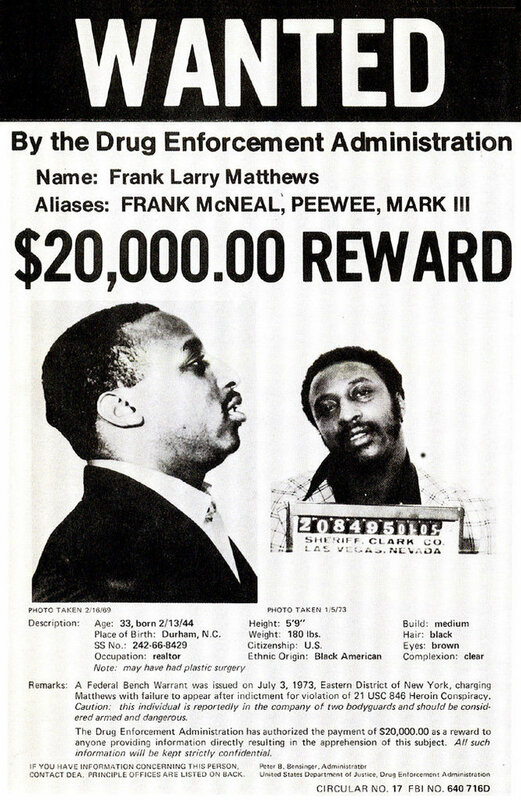 The FBI may be targeting Assata Shakur, but Frank Matthews is the true gangster Most Wanted! Follow the Frank Matthew's trail at http://www.FrankMatthewsBook.com. For more exciting true crime book by Strategic Media Books, go to http://www.strategicmediabooks.com. Chepesiuk will be conducting a two-month blog tour this coming July and August via Partners in Crime Tours (http://www.partnersincrimetours.net/). Follow Ron Chepesiuk at www.ronchepesiuk.com.